Remember that moment in school when the person you've had a crush on for a while finally smiles at you from across the room? 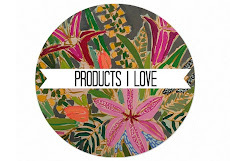 Well I've been crushing on Tonic Living, the online fabric store, for years. Truly, I used Tonic Living for my very first client and they made the roman shades and pillows for her room. 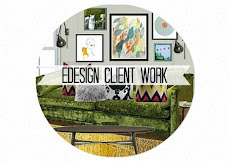 I have since used their fabric for numerous clients (especially the Modern Bungalow Project) but never for myself. Then I received an email from Tonic Living, (Ohmygosh my crush was not just smiling, but talking to me!) 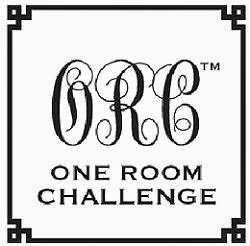 congratulating me on being part of the One Room Challenge, and asking if I'd like to partner with them for an element in the room. Dying. First I had to narrow down which fabric I would even use from their huge selection! Here were a few contenders. Should I go more simple? Less color? They would all look "nice", but I'm more of a go-big-or-go-home kind of gal. To convince Tonic Living that I was, in fact, going to turn this bathroom around into something fab, I sent them this design board. 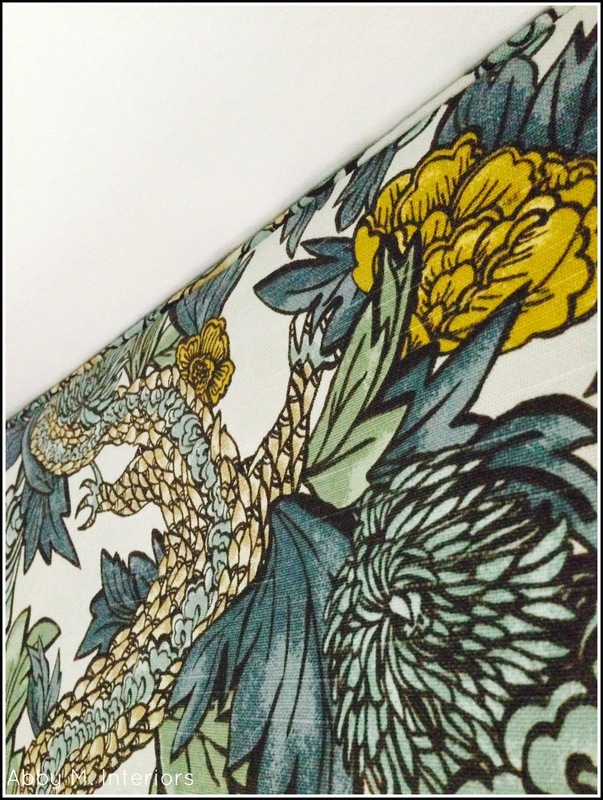 The Ming Dragon fabric by Dwell Studio was approved by my kids (dragons make florals work for boys) and let's face it, is just a stunning pattern. The colors were spot on for my bathroom makeover. Thank God Tonic Living said yes to my crazy custom shower curtain! So last week we ended with my shower doors removed, which I explained was a MUCH bigger job than I expected and I was still struggling to remove the film of silicone caulk. Turns out I now know what removes silicone. Anger. ;-) Yep, if you get mad enough at the silicone for trying to drag you down and defeat you in the One Room Challenge, you can use your fine grit sanding block to remove the caulk. Basically, brutt strength and determination came into play here. Little did I know that there was so much work ahead. If I was going to have a gorgeous custom shower curtain from Tonic Living, then I could hardly keep the yellow tub and dingy tiles, or the beige toilet, OR the cheap floors. Am I right?! 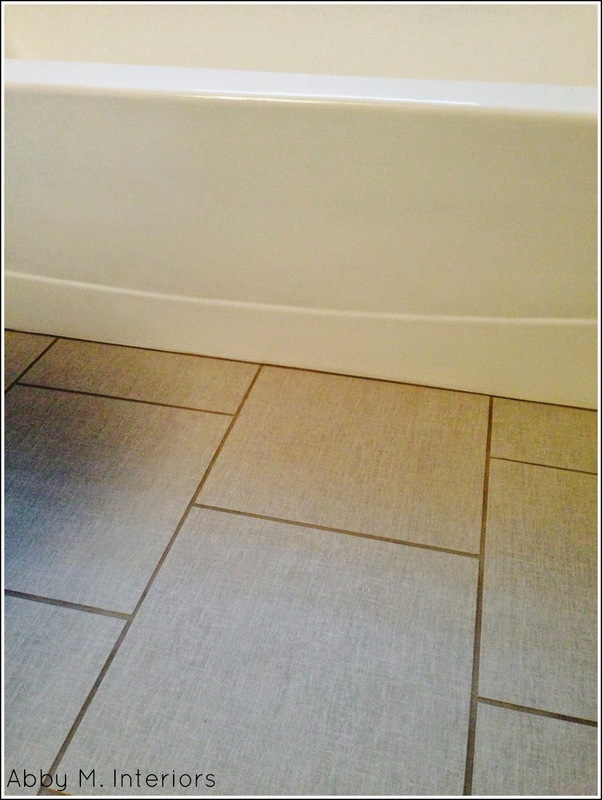 I found this gray, linen-like tile for the floor, and my tile guy installed it in a record time. Truly, it was just meant to be. He gave me the estimate Wednesday, I bought the tile on Thursday, and he installed it on Friday. Everything happened so fast! 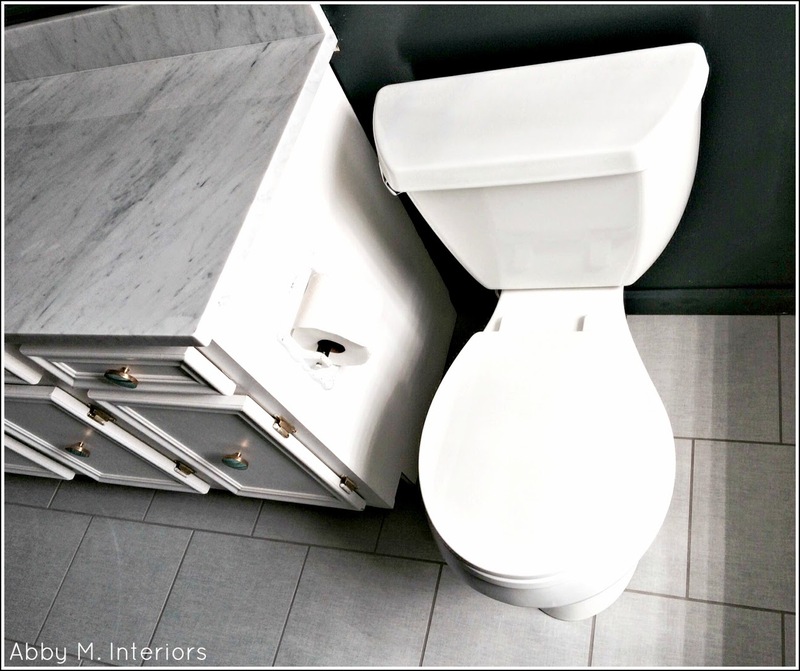 Originally I wasn't even planning to replace the floor, but once we had the beautiful marble counter it became even more obvious that the floors needed to relate better to the room and not be the cheapest tile from a box store. We were on a major time crunch. 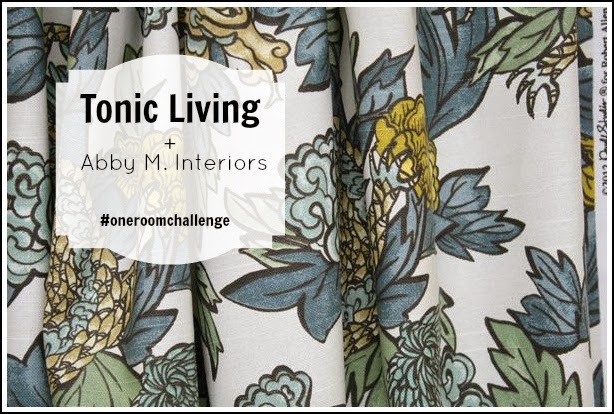 The One Room Challenge is only six weeks, and I would need the curtain finished and installed before the reveal. While my guy was installing the bathroom floor, two packages came in the mail...I wish you could have seen my face when I opened them. First, this five foot valance, with PIPING (love details)...very carefully wrapped in plastic, folded neatly, and crazy easy installation directions. Then this box with approximately six yards of fabric. If you follow on Instagram you probably saw this picture. I could have cried, the colors are so beautiful and perfect for my bathroom. It was obvious as soon as I opened the carefully packed box, that this curtain was so well made. Perfect hems, back tabs so that they drape nicely, no short cuts here. Just perfection. The floor was finished but my tub was still yellow and that wouldn't do! I had been dreading this part since the beginning of the One Room Challenge. This is where the rubber meets the road. Or more accuratly, where the rubber meets the tile. I had to paint my tub and tile. I used a tub and tile kit from Lowe's. The preparation/cleaning for this project is so extensive, that it took endless hours. Again, much more work than I anticipated. There was actually blood, sweat, and tears. I'll do a full review on my blog at a later date. But now it's done! Yellow tub and tile be gone. Remember the ugly vent in the middle of my fancy glass block window? Covered it with a mirror. I just used velco tabs and it was fixed within minutes. We even have a fancy new toilet, also from Lowe's. Husband installed it himself with no problem. No, this isn't sponsored by Lowe's, it's just a great toilet. Who knew switching from beige to white would be so glorious. OK, so we probably all knew that, but really, it has made a HUGE difference. finally install my shower curtain! The valance would hang from ceiling height on the wall above the tub. Tonic Living wrapped the wood in fabric, pre-drilled the holes and provided the screws for installation. The whole process took about three minutes. The valance was a *perfect* fit. 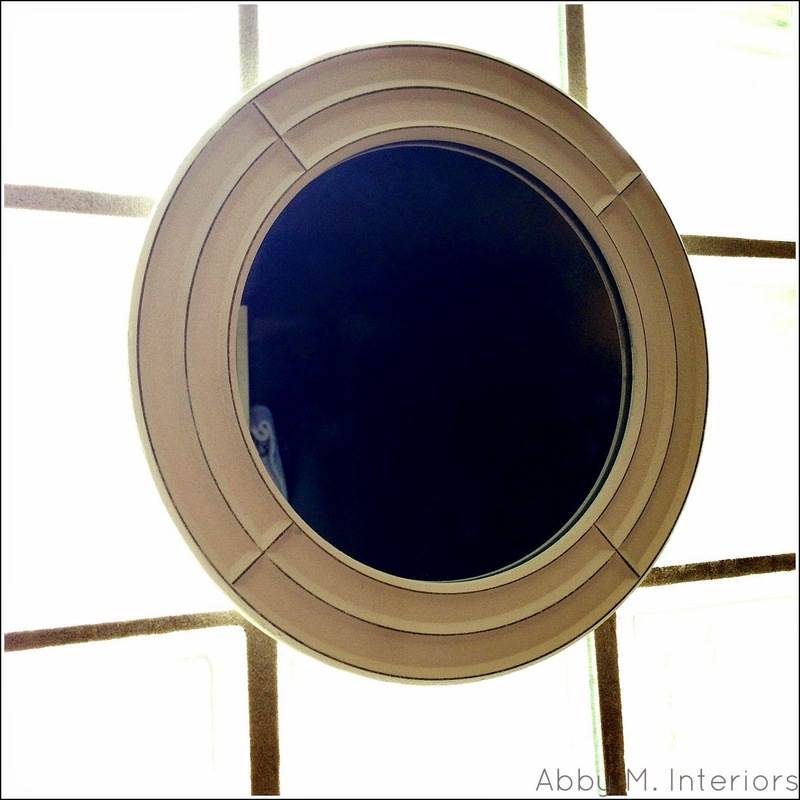 Once the wooden rod was installed on the wall, I simply velcroed the valance, gorgeous piping and all, to the wood. I mean...this valance is everything. As I predicted, the colors are stunning against the Lead Gray wall color. There is a hidden pleat on each end of the valance, and a box pleat exactly centered in the middle. 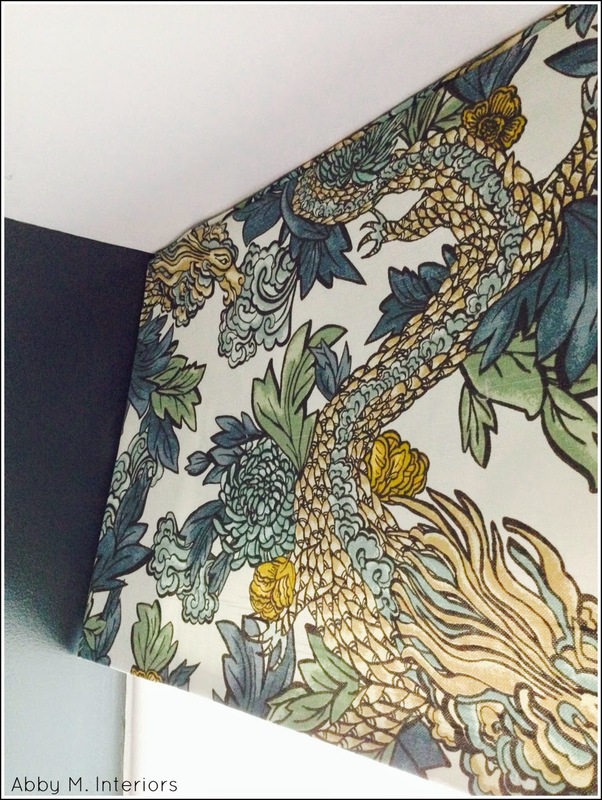 I love that you can really see the dragons because the valance is flat. It hangs so nicely. Next I hung the drapes from the curtain rod, hidden under the valance. The fabric is fully lined and crazy well made. I could sleep in this bathroom, I love the fabric so much. I still need to install the art and accessories, but a double panel shower curtain with valance is by far the focal point. save some surprises for the last week! Thank you to Tonic Living for their generous contribution to my bathroom. I am incredibly grateful, and I know it has made the room. Not only do they sell beautiful fabric, but Tonic Living makes custom window treatments, pillows, cushions, and shower curtains. I hope you visit their site and check out their selection. They are very easy to work with and always getting new fabrics. Although the curtain was courtesy of Tonic Living, all opinions are my own. Thank you for reading! I can't wait to see what everyone else has done this week. There are some really incredible rooms coming together for this challenge! 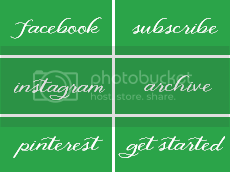 Just click through the list below to visit them all. That fabric is EVERYTHING!!!! Holy moly...so so good! And I adore how it plays off your dark walls. I can't wait to see the full reveal!!! Abby, wow, the shower curtain and valance just kicked this bathroom up a notch - it's a real room now! You could entertain in there! Put out some drinks and appies, perfect! Love how the fabric picks up your wall color and those gorgeous knobs and ties it all together. 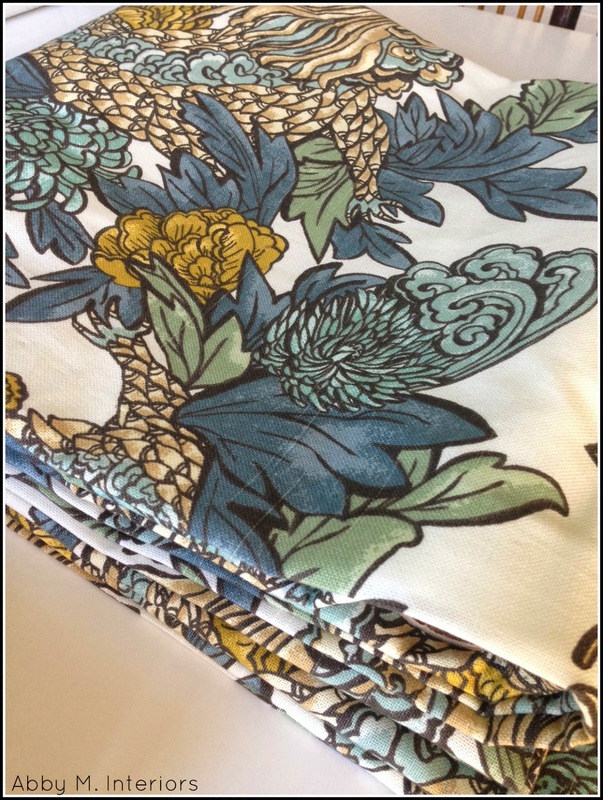 I love Tonic Living's fabrics too and this one is no exception. The bathroom looks amazing! Wow, wow, wow! That fabric is so gorgeous and just perfect for the room! I want to see it all now! I can hear the angels singing! Soooo can't wait until next week! That room is far too beautiful for mere children . . . .
Oh my goodness - I'm in love! That shower curtain is divine! 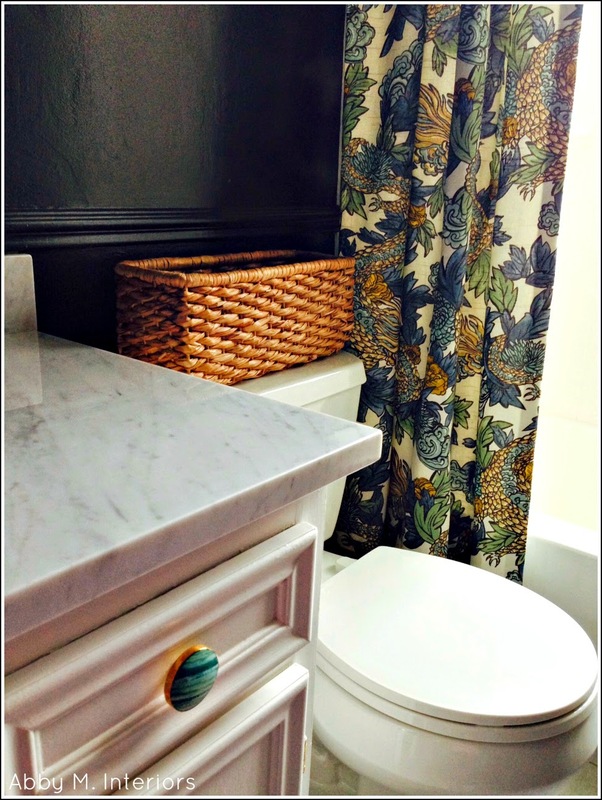 I heart Tonic Living, and love how your bathroom is coming together! Gorgeous! I lov when things start falling together!! I can't wait to see that shower curtain! Tonic Living did an incredible job!! The fabric you chose it gorgeous too. Love the new floor tiles and white tub. Amazing progress in just one week. Looking forward to the reveal. LOVE! The fabric is stunning with the tiles, marble and that dramatic wall color! I'm excited to hear about your tub painting process. it looks great! It is even better than I had imagined it would be. I am just giddy my friend! I want to come over and pet your shower curtain!!!! It turned out fantastic! I love that you used Tonic Living too. Canada represent! yahoo! Oh my! This bathroom is looking super luxurious! 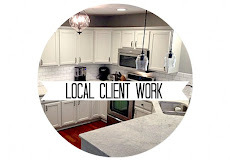 I love the fabric you chose and those marble counters. Your bathroom is turning out so beautiful. I am excited to see the full reveal next week. 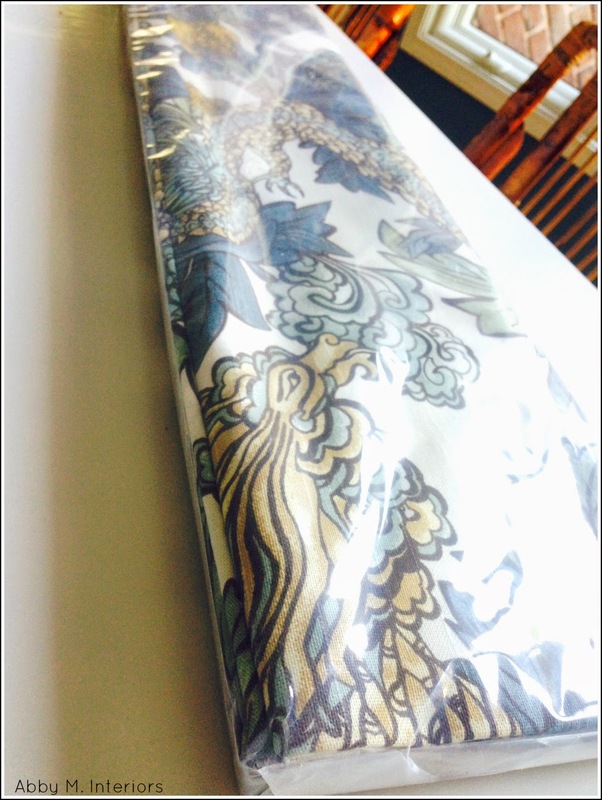 The fabric for the shower curtain is stunning. I would not want to get it wet! ABBY! Seriously! This is divine. I love the way it has come together. Gorgeous! I could feel your excitement coming through the computer! That fabric is beautiful. 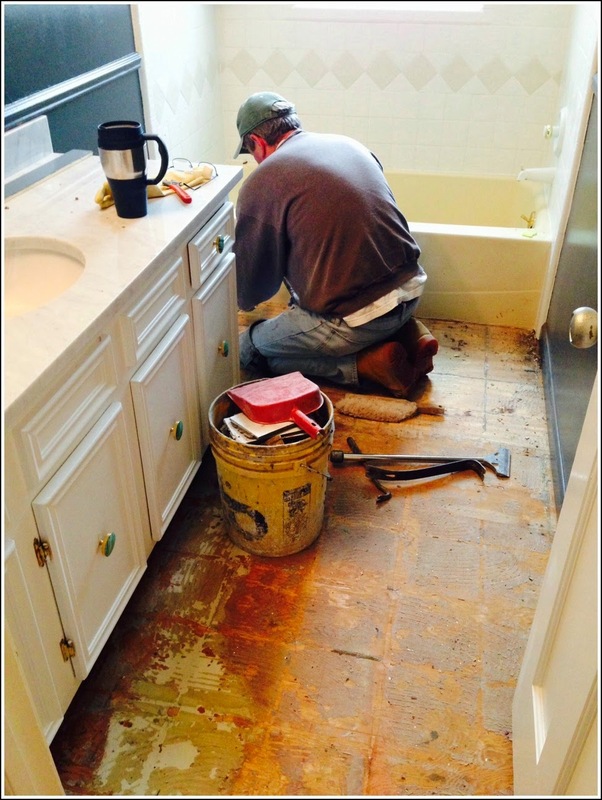 I had to laugh about the silicone grout - been there! And you are right, the only thing that removes it is - anger!!! Can't wait for next week! I'm so glad someone else gets excited about piping!!! Is there anything better?! Those floor tiles make all the difference! There are no words, just beautiful. Love the colors together, and this is going to be an over the top bathroom. I seriously don't even know what to say! Who knew a shower curtain could be such a show stopper!! 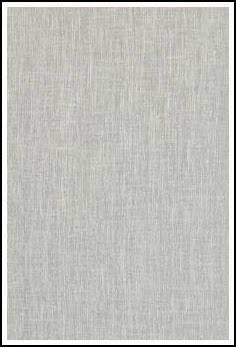 I love a full length shower curtain w/valance...it is going to make the room seem larger and taller! That fabric is to die for!!!! Wow! Thanks Emily! The short answer? Custom. Then you get the exact length you need. 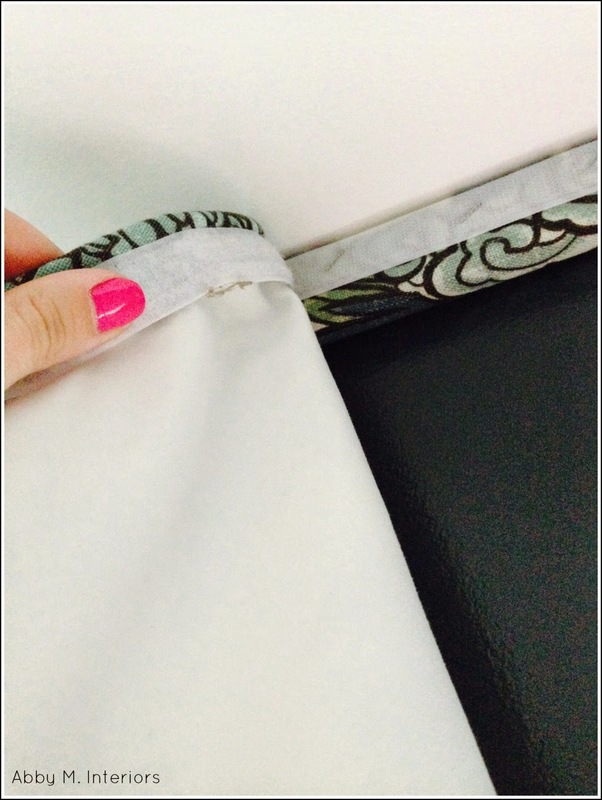 Another option is to buy pre-made drapery panels that are longer than you need, and hem them. I hope this helps! Thanks so much for reading! Ahhh! I am dying to see the final reveal! You are so talented, this bathroom is going to be perfect!!!! GAH that shower curtain is amazing!!! Short shower curtains are my pet peave, this is so beautiful! We used that tub and tile kit a few years ago in our guest bath and it didn't work out so well after about a year. I hope yours stays on better. The shower curtain looks so great in there with that wall color! Can't wait til next week. Holy crap. Is it weird that I have a crush on your shower curtain? The room is looking amazing. That curtain is just so beautiful! And I love how those knobs just pop against the curtain. So, so fabulous!! Such a chic space...can't wait till next week to see it in its entirety! Oh Abby - I know what an incredible selection they have and to have narrowed it down to was brilliant!! And against the dark walls, so good!! Love that fabric - this is coming together beautifully. STUNNING!! is the word I think when looking at all you have done. What a fabulous transformation. So fun to see it in progress. We had our tub painted years ago. You are one brave and ambitious lady to do this on your own. YOU should be sooooo proud of your hard work, it is really paying off big time! Wow! This fabric is absolutely gorgeous! With all their beautiful selections, you definitely made the right choice! I can't wait to see the big reveal next week! Ehmagerd......... so so so jealous of your new tile floor, and the custom curtains and valance? Well, you are a one lucky lady! Its all so amazing! LOVE, LOVE, LOVE! 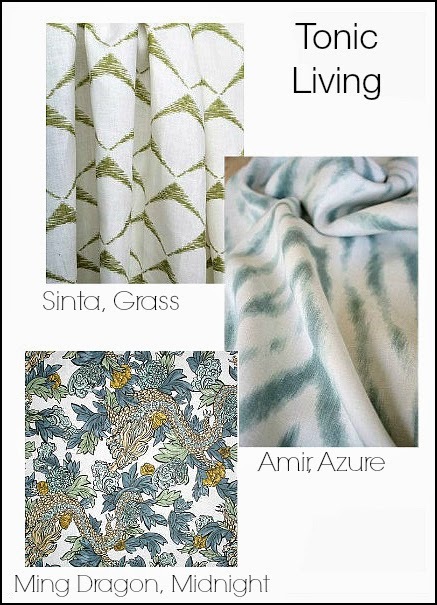 LOVE Tonic Living and that fabric is TO DIE FOR!!! Cannot wait for the reveal!! Abby! This is amazing!! Yes, Tonic Living is clearly a fantastic resource, no doubt, but your choices are so bold and stellar. It IS go big or go home, and you went big and I want your home lol!! I would die for this bathroomand its not even done!! Can't wait till next week. oooooh... looks so good cant wait for next week!! Love your dragon fabric! It's perfect. The tiles, the knob and the shower curtains are amazing! Can't wait to see the big reveal next week! I just looked at your post again and realized I have that exact same light fixture in my powder room. The bulbs are a pain to find when they burn out, but other than that, it is gorgeous -- you will love it!! 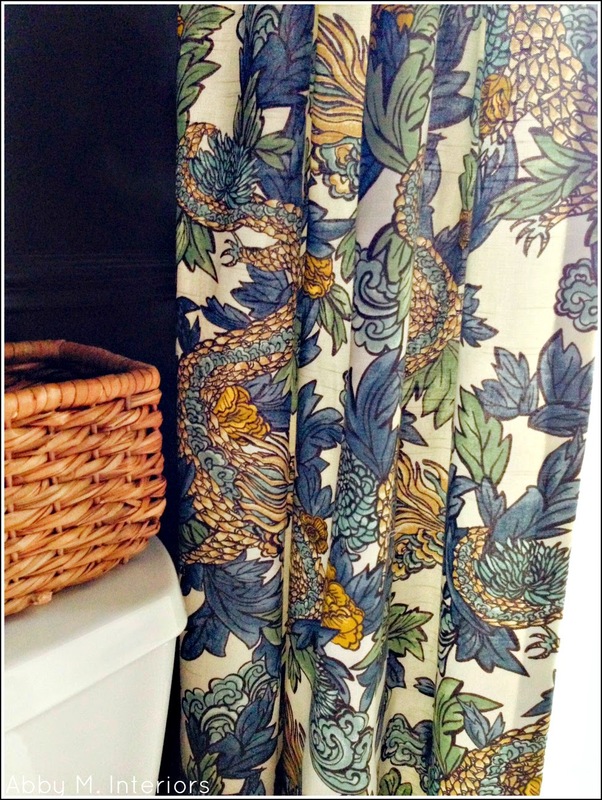 I love this fabric and love the look of shower curtain with double panels and a valance! Obsessed!!!!!! That shower curtain is everything. Did you ever think a new toilet would get you as excited as that boy in school finally noticing you? I think the new bathroom is turning into something a little too nice for boys to use. I'm so excited for next week to see the full reveal. You had me at go hard/or was it big......... The hero of your room is defs the shower curtain.everything else is fitting perfectly!! Can't wait to see the overall photos !!!!!! Absolutely stunning!!! 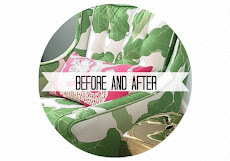 This is such an incredible transformation, and that fabric from Tonic Living is positively divine!!! What a brilliant idea with the mirror! I cannot wait to see the final reveal! The fabric is stunning. I'm super excited to see the reveal! Boom! That fabric is everything. NICE choice. Can't wait for you to pull it all together next week :) Eeee! That fabric is to die for! LOVE IT! Can't wait to see the big reveal! Abby, this is absolutely fabulous. The fabric and shower curtain from Tonic Living is beyond gorgeous. Yes, I would sleep in there as well! Can you swap bathrooms with your boys? I'd seriously consider it!! 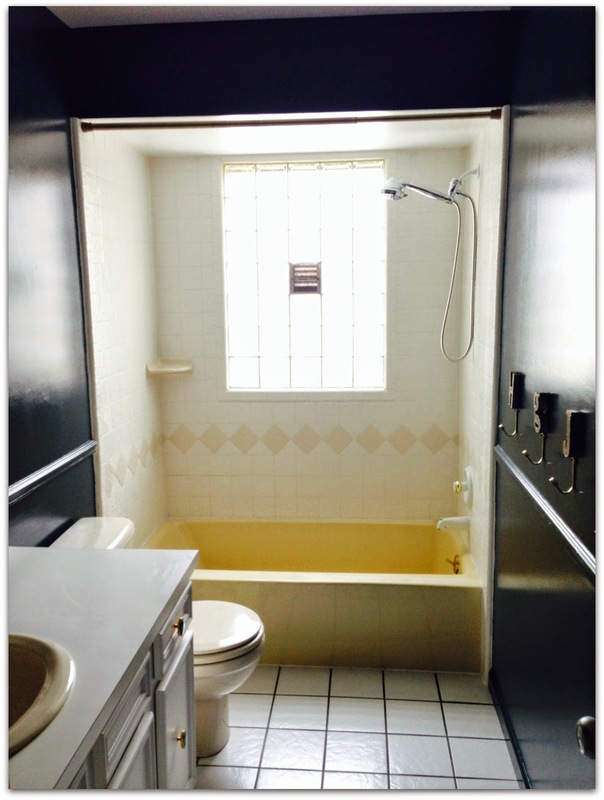 Love the painted tub … every bit of what you have done is well worth the brute strength and grit you mustered up!! That fabric is amazing. Thanks for sharing the resource - I will definitely be keeping Tonic Living in mind for future clients! I am so in love with this transformation! The fabric is the icing on a really tasty cake! Great idea for covering the vent, too! That fabric with that wall color = LOVE!!!!! WOW! Absolutely stunning! You are amazing! 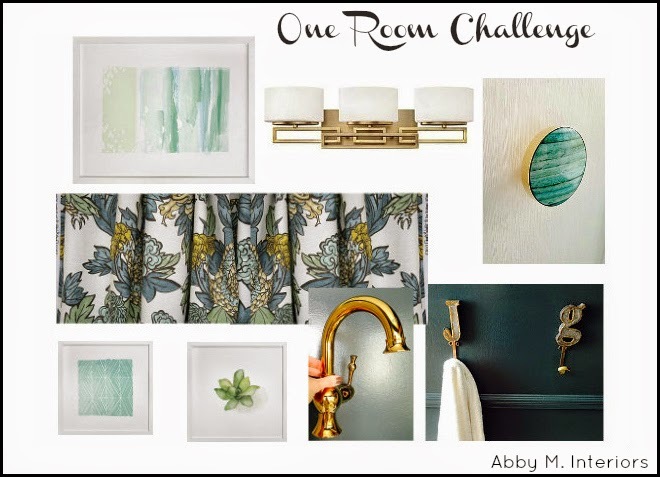 Oh Abby LOVE that shower curtain, that would totally have been my choice too (I made a roman shade with the Chaing Mai dragon for my ORC in the fall)! And everything else you chose in the room is so perfect. Can't wait for the big reveal!! Could a shower curtain get any more amazing, wow I cant wait till next week! So awesome Abby! That fabric, oh my! I can't wait to see the reveal next week. High five on the silicone and tub project. You're stronger for it, right? Thanks for the high five!! 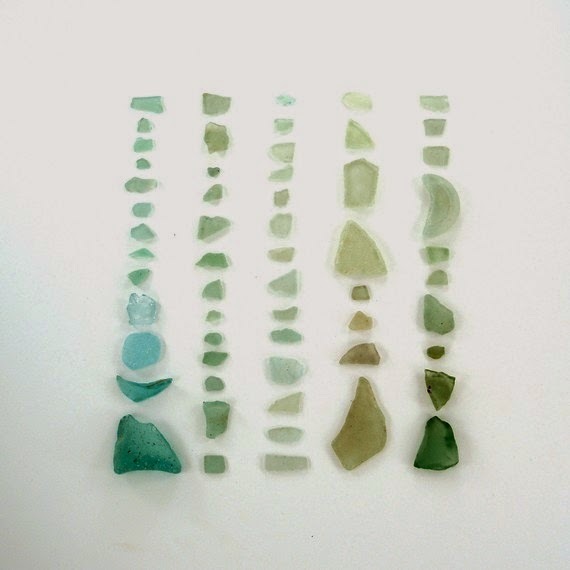 Yes, I just kept telling myself I was burning calories as a sanded away the silicone.